Happy Earth Day! Will you be planting a tree? I love this holiday in theory, but inevitably I wind up feeling guilty because I didn’t bike to work or install a solar panel. So if you’re looking for an easy way to get your hands dirty with low long-term commitment (no watering!) the kiddos were all over this recent planting project. 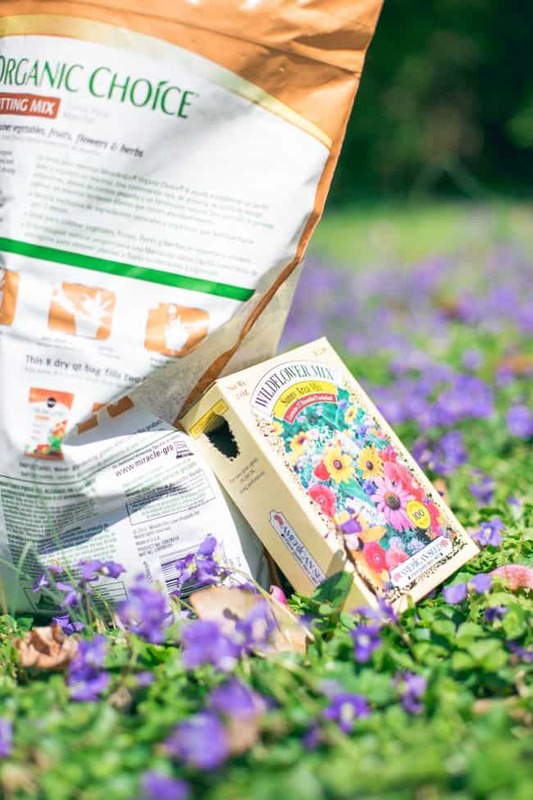 Because there’s nothing like pretty flowers and dirt bombs for a kid-friendly combination. Something for everyone! I roughly followed these instructions from The Rurbanite, a book for city dwelling guerrilla gardeners. 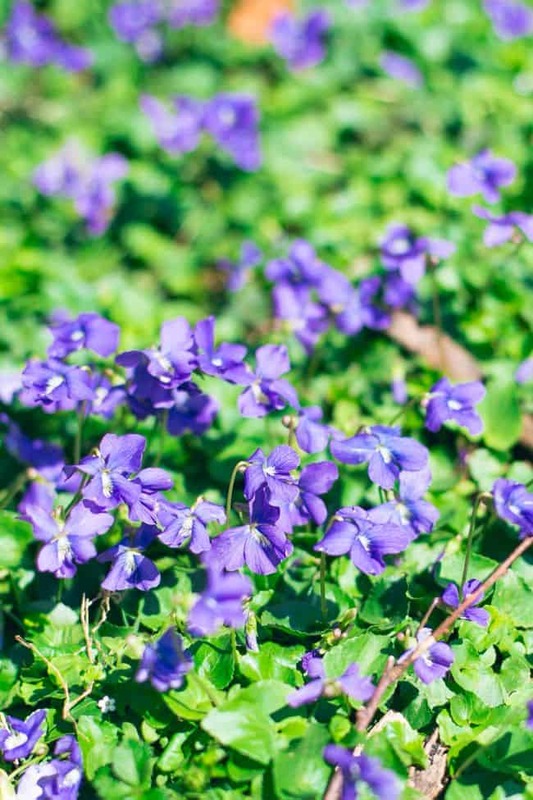 Don’t you love the idea of sending out a wildflower seed bomb to ugly roadside patches? We simplified things by leaving out the potters clay powder. Mainly because I have no clue what that is. Our seed bombs still held up quite well. Whether anything will grow is another story. Combine the seeds and soil in a bowl. You’re supposed to use a ratio of five handfuls of soil to one handful of seeds. But the kids were scooping out the soil so my measurement precision went totally out the window. Add enough water to get things workable but not soggy. 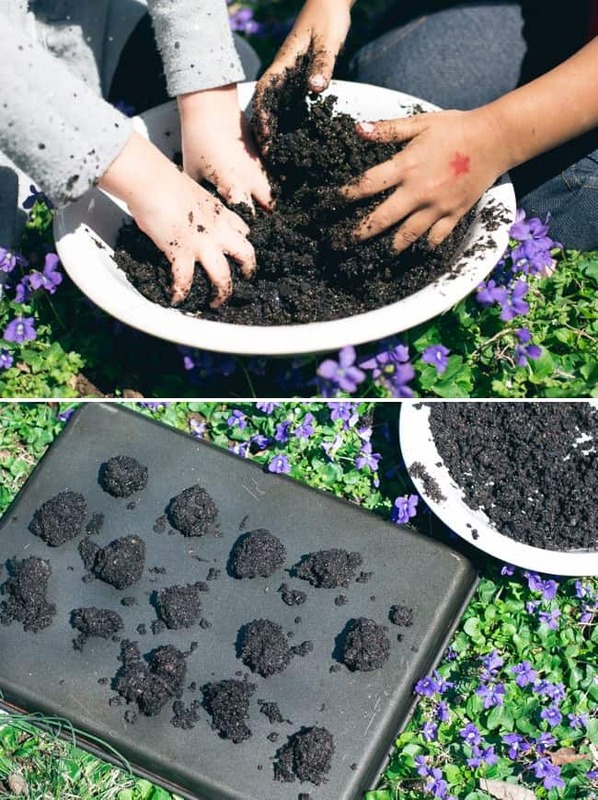 Let the kids play in the dirt for a few minutes – this will nicely mix everything together. Then roll into small balls and let them dry in the sun. Most of our seed bombs ended up being thrown in our own backyard, so who knows what will be growing soon. A few we delivered on a walk about the neighborhood, spotting gardens, flowers and plants that we never take time to notice. Which I guess is what Earth Day is all about. Hi! So I am dying to know if your seed bombs worked?! ahhh i love this.. just around the corner from our house theres a little mound of wildflowers and i always think to myself i gotta recreate one in our garden.. now you have totally inspired me.. So pretty! I can not wait to have time to start doing some things outside. I really can’t wait until my boyfriend makes my pallet bed.